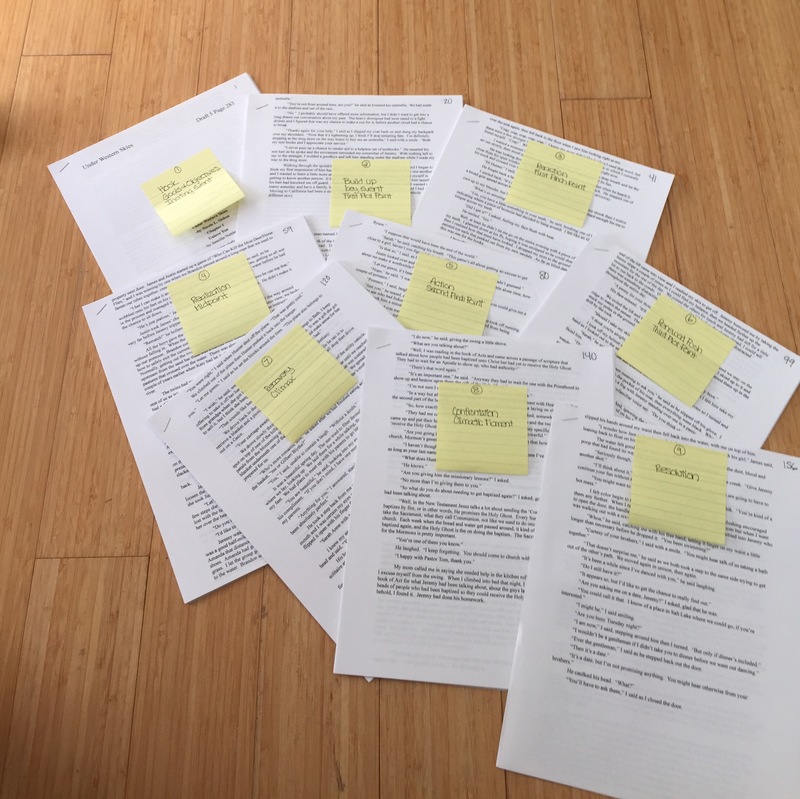 I just completed the 5th revision of my novel, “Under Western Skies.” It was intense as my critiques recommend moving a few things around in the story. Here it is now, printed and divided up by percentages according to the elements suggested to create a compelling story. Next up, I get to go through these sections and make sure they will be able to cut the mustard in the literary world.